Mark your calendar for the 2019 Annual Meeting of the Inuit Art Society! The keynote speaker will be Heather Igloliorte, an Inuk scholar, curator, and art historian from Concordia University in Montreal, Quebec. The first exhibit in the Power Family Program for Inuit Art at University of Michigan Museum of Art in Ann Arbor opens March 16, 2019. 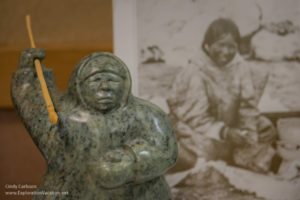 Tillirnanngittuq celebrates both the development of contemporary Inuit art in the Canadian Arctic since the 1950s and the Power family’s important role in supporting and promoting Inuit art. The exhibit will run through October 6, 2019. 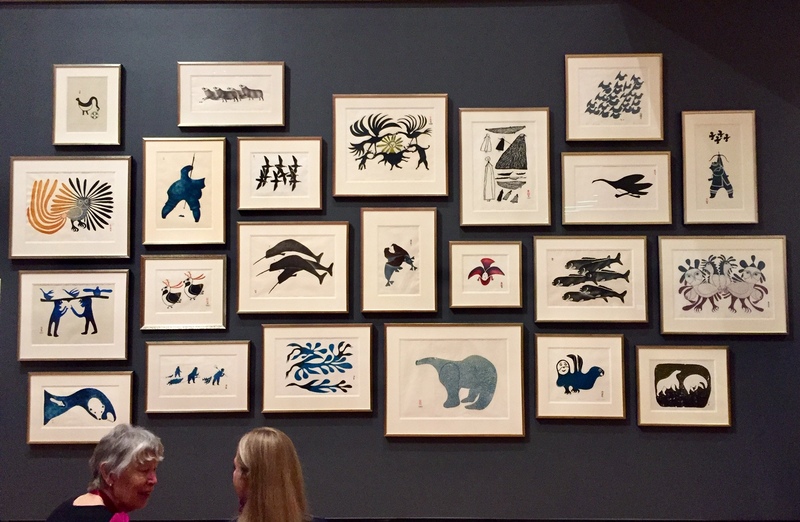 The 2018 Annual Meeting of the Inuit Art Society was held at the Dennos Museum in Traverse City, Michigan, on October 19-21, 2018. With record attendance and interesting and exciting speakers, the meeting was a great success. We appreciated the expanded Inuit art galleries at the Dennos Museum and the kind assistance of staff. The Canadian Consulate was a generous partner in our proceedings, and we extend a grateful thank you to Canada. 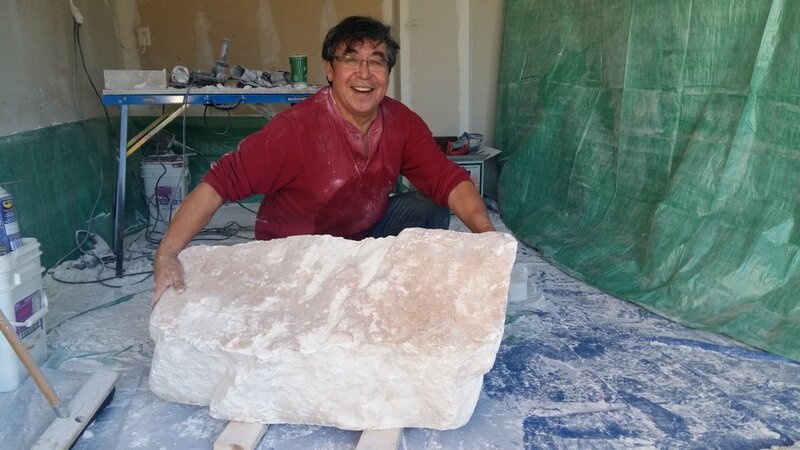 Inuit sculptor Bill Nasogaluak joined us as a guest artist. Noted for his carving, Nasogaluak began his career as a painter and enjoys working in a variety of mediums. Don Stuart, OAC, discussed the establishment and art of the Pangnirtung Weaving Studio. 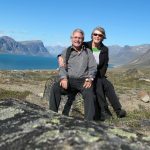 Stuart developed and initiated the acclaimed studio on Baffin Island, which today thrives as the largest hand-weaving studio in Canada. Pangnirtung weavings from the Dennos’ collection were on display at the museum. 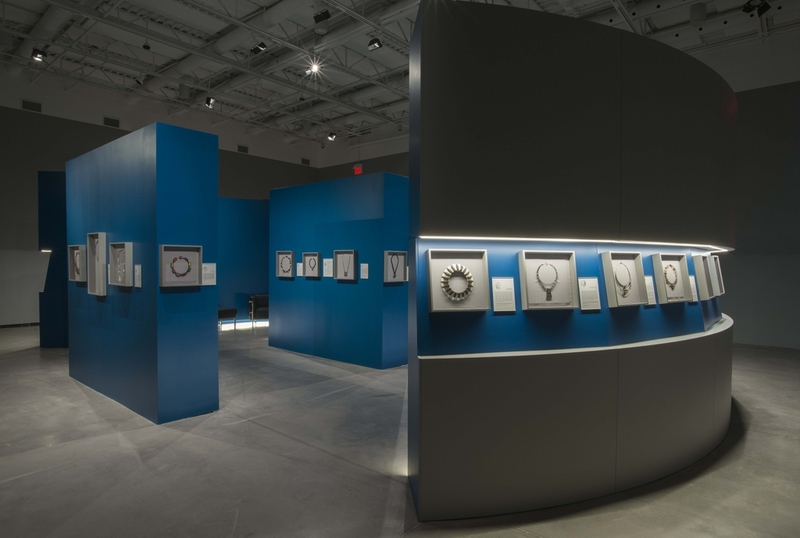 Stuart, also internationally recognized as one of Canada’s leading gold/silversmiths, known for his striking jewelry, had an exhibit of 40 neckpieces he created to celebrate Canadian women past and present (including Inuit artist Malaya Akulukjuk) during the Inuit Art Society meeting. 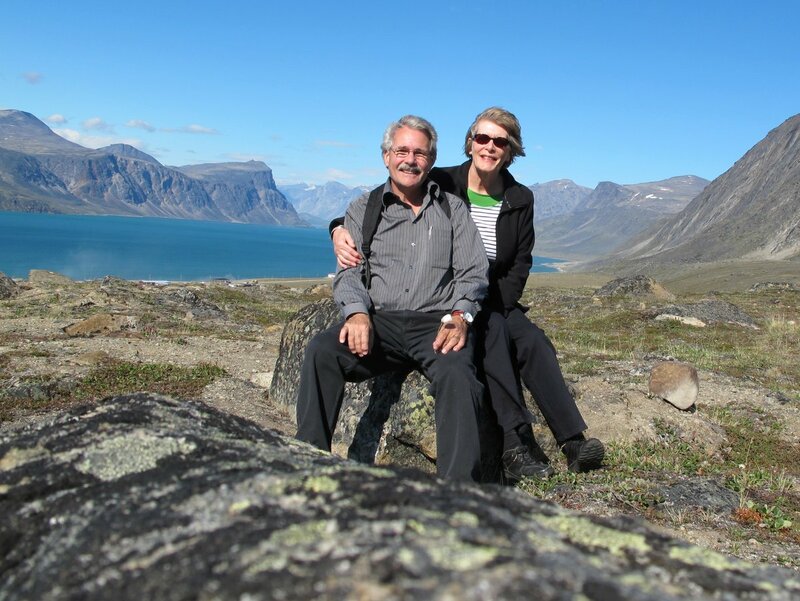 His wife Jill worked as a nurse in Pangnirtung. Stephanie Gandulla is a member of the Sedna Epic Expedition Project studying the impact of global climate change on the fragile arctic ecosystem and the aboriginal peoples who live there. As a curator and independent scholar, Bernadette Driscoll Engelstad publishes widely on Inuit art and cultural history. Her interests focus on Inuit cultural history, including historic clothing design and the contemporary work of Inuit seamstresses; Arctic ethnographic collections in North American and European museums; and contemporary sculpture and graphic art by Canadian Inuit artists. She currently holds an appointment as Research Collaborator at the Arctic Studies Center of the Smithsonian Institution. Her contributions to the annual meeting were timely and of great interest to members. As the Consul General of Canada in Detroit, Douglas George is responsible for the states of Michigan, Ohio, Kentucky and Indiana. He is a career diplomat with 35 years of experience, and most recently served as Canada’s Ambassador to Kuwait. The Marketplace was open for anyone interested in purchasing Inuit art to add to (or start) their own collection. 8:30-9:45 am Registration continues, the Marketplace is open, and time to review the Cape Dorset prints, or tour the galleries. Refreshments will be available. 10:30-11:00 am Announce raffle winners (raffle tickets available throughout the meeting). The Marketplace closes at 11:00 am. IAS members will be offered IAS members will receive discounts of 10-20% off all Museum Shop merchandise during the weekend. Take a peek at their website to get a preview of all the goodies available. The Annual IAS Market Place, which again featured offerings from Native Art Traders, was also at the Dennos Museum for the duration of the IAS meeting. Additional vendors to be announced. The Dennos Museum in Traverse City, Michigan, hosted this year’s program. Located on the shore of Lake Michigan’s Grand Traverse Bay, Traverse City is a popular tourist destination, as well as the home of Northwestern Michigan College. The Traverse City area is known for its beaches, cherry orchards, wineries, and lovely fall color, and has many charming restaurants. The Dennos Museum may have the largest collections of Inuit Art in the United States. The Inuit art collection was established in the 1960s through efforts of long-time IAS member Bernie Rink (who was honored at the Museum during our opening reception with a plaque to commemorate his work supporting Inuit art and the Museum), and its holdings have grown to include a large selection of Inuit prints, carvings, and textiles. With the opening of the Barbara & Dudley Smith Wing for Inuit Art in 2018, the Dennos museum has more space for exhibition, education, and programs. The Dennos Museum has hosted Inuit Art Society meetings three times. We look forward to returning to their newly expanded facility, which will have more Inuit art than ever on display. In addition to the the museum’s outstanding permanent exhibit of Inuit Art and the 2018 Cape Dorset print collection, the Dennos will be opening two special exhibits that will be of interest to meeting participants. Pangnirtung Weavings from the Dennos Museum Center’s Collection features weavings from the Inuit art collection, by the artists of the Pangnirtung Weaving Cooperative. Homage: Inspired by Outstanding Canadian Women includes 40 framed neck-pieces created by contemporary jewelry artist Donald Stuart as a celebration and tribute to Canadian women, past and present. Donald A. Stuart Homage (PDF) See a review of the exhibit here. The Dennos museum is located on the campus of Northwestern Michigan College at 1701 E. Front Street in Traverse City. The meeting coincides with the annual Cape Dorset print release. Friday evening the IAS reception at the Dennos will provide the opportunity to browse the galleries and view this year’s Dorset prints. The print sale will be by lottery on Saturday morning. The Dennos Museum Shop is offering IAS members 10% discount for the 2018 Cape Dorset prints. 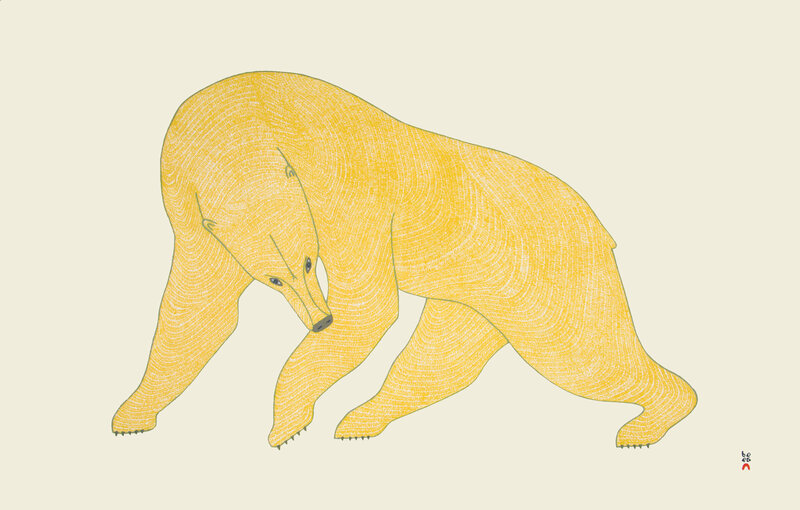 Mighty Bear, a stonecut by Quvianaqtuk Pudlat, is just one of the beautiful prints in the 2018 Cape Dorset annual print collection. Image from Dorset Fine Arts. Free parking is available at the Dennos Museum. We’ll arrange car pools to get to and from the hotel and the dinner site. We hope we saw you in Traverse City! Save a weekend in October 2019 for our 2019 Annual Meeting – details will be forthcoming! Upcoming Inuit Art Society Annual Meetings Our annual meetings feature native Inuit artists from Canada, knowledgeable speakers about Inuit art and culture, field trips to private collections, a museum or other relevant points of interest, and always ample time to meet other Inuit art enthusiasts. 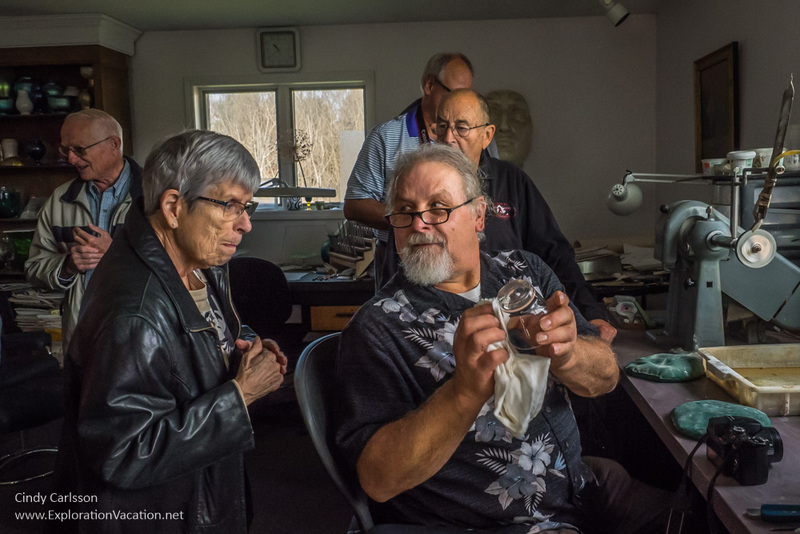 Become a Member The mission of the Inuit Art Society is to provide education and support for the culture, art, and artists of the Arctic. We are based in the American Midwest, but have members throughout the US and Canada.